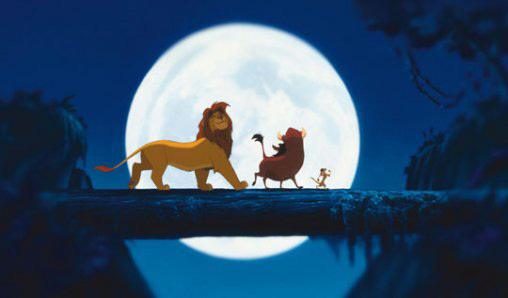 The story, influenced by the Shakespeare play Hamlet and Disney's 1942 classic Bambi, focuses on a young lion in Africa named Simba, who learns of his place in the great "circle of life" and overcomes many obstacles to claim his place as the rightful king. 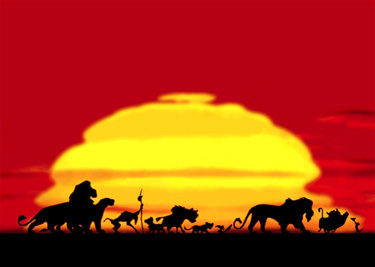 Simba is the protagonist of the movie and the prince of the Pride Lands. Scar is the film's antagonist and King Mufasa's scheming brother, who desires the throne. Mufasa is the King of the Pride Lands and Simba's father. Timon and Pumbaa respectively, are the comical meerkat and warthog duo who live under the philosophy of "Hakuna Matata"
(no worries). They become Simba's provisional guardians during his exile. Nala a cub is the childhood friend and intended mate of Simba. Rafiki is a wise mandrill who presents the newborn prince of the lions. Zazu is a loyal hornbill who serves as Mufasa's majordomo. 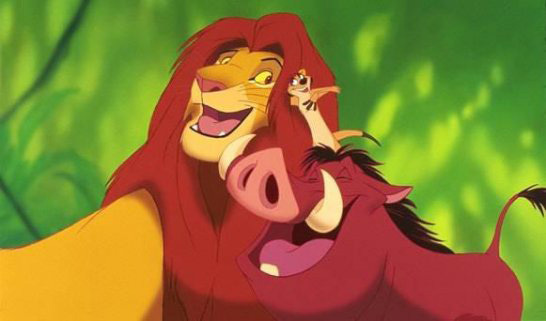 Shenzi, Banzai and Ed,respectively, are a trio of hyenas who assist Scar as his "second-in-commands". Sarabi, is Simba's mother, the Queen of King Mufasa and the leader of the lionesses.